Prepare the cake mix following directions on the box. 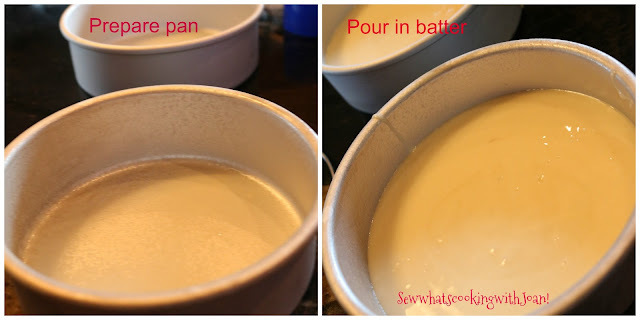 Prepare your pans (I used 6 " cake pans, but, you can use 7" to fit in your IP) with non stick baking spray or butter and flour. Pour 1 cup of water into the instant pot. Pour half the batter in each pan. 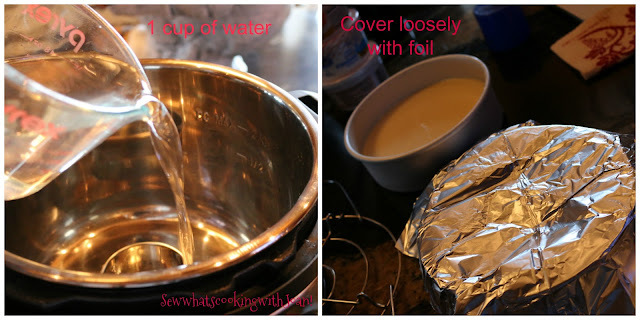 Cover each pan loosely with foil. 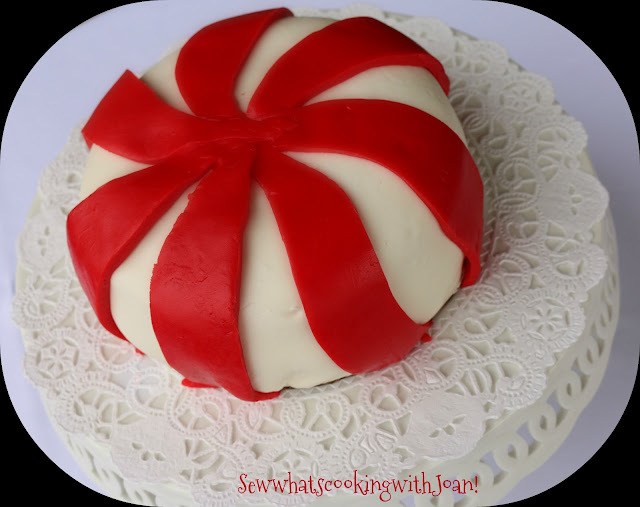 Place on a trivet or on a biscuit cutter to elevate, then place a second trivet on the cake and put the second cake on top of that. Put the lid on and turn valve to closed. Cook on manual pressure for 30 minutes. do a 15 minute natural release. Release remaining pressure by opening the valve. Check the cake with a toothpick, should come out clean. If not cook a few minutes longer. Remove cake to wire rack and allow to cool for 10 minutes in pan. Flip onto wire rack. 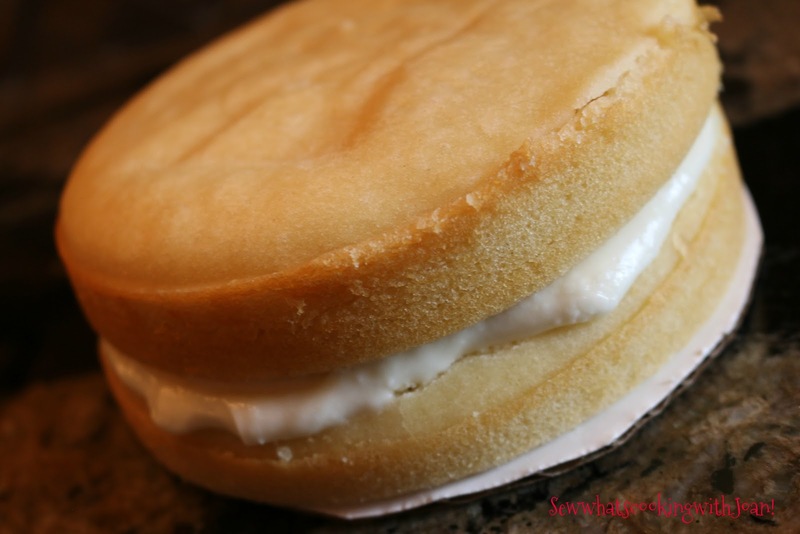 If the top of the cake is uneven, use a serrated knife to even it out. the top cake of the peppermint, should be domed. Spread the filling on bottom layer and put the domed layer on top. 3. Beat in small portions of the powdered sugar and after beating in 2 cups, taste the frosting and add more until desired sweetness is achieved. Soften the fondant according to package instructions. Roll out into a 13 inch circle on parchment paper, dusted with confectioners sugar. brushing off excess sugar. 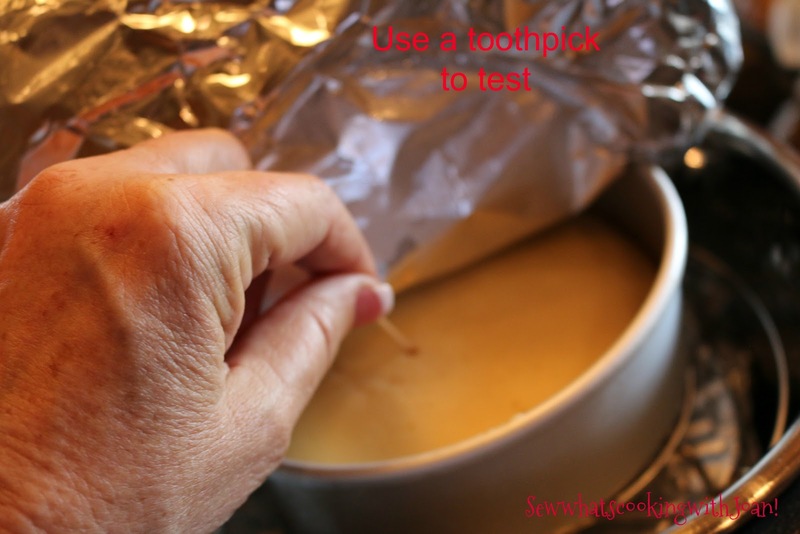 Tuck around the bottom edge of cake, pressing gently to adhere; trim the excess. 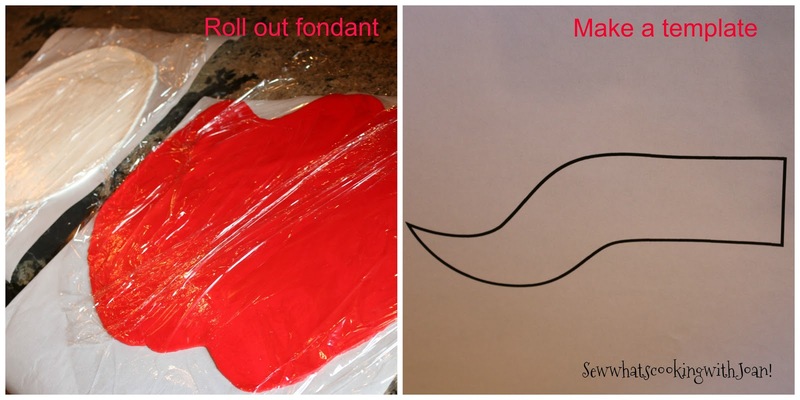 Roll out the red fondant and cut 7 inch by 1 3/4 inch wavy stripes with the point of a knife. A template for this wavy stripe can be found on Food Network Peppermint cake template. Carefully arrange the red stripes around the cake with the tips meeting in the middle. Gently press to adhere. Tuck under the cake and trim excess. 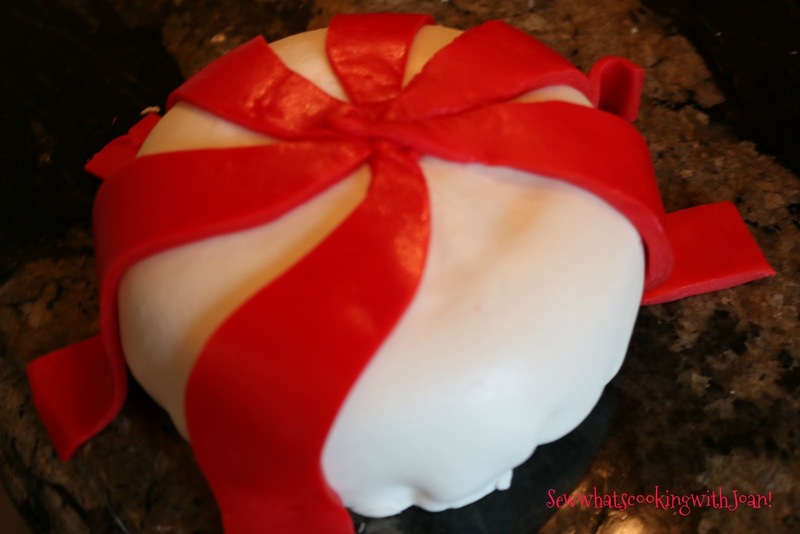 Wrap the cake in plastic wrap until ready to serve. 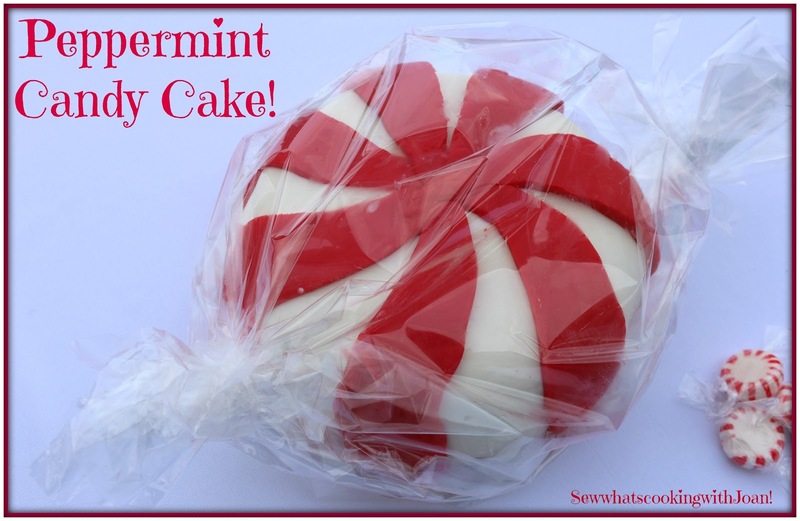 I presented on a buffet table inside a cellophane wrapper, to look like a peppermint candy during dinner. After dinner, I unwrapped my cake and put on a footed platter. My kitchen is getting ready for the holiday season! 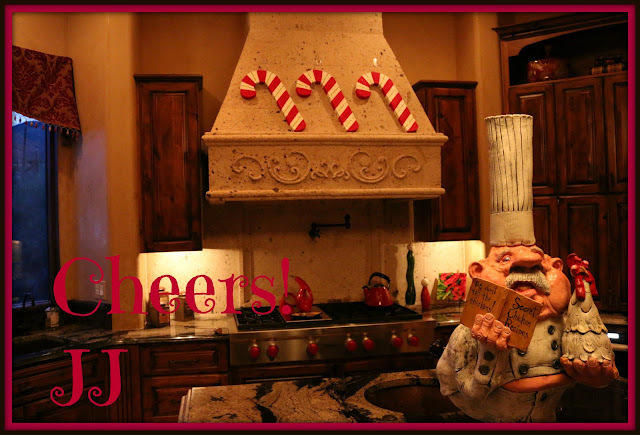 Baking and decorating!